Though St. Cassian's Centre is primarily young people centred we do offer Adult and Family Retreats. 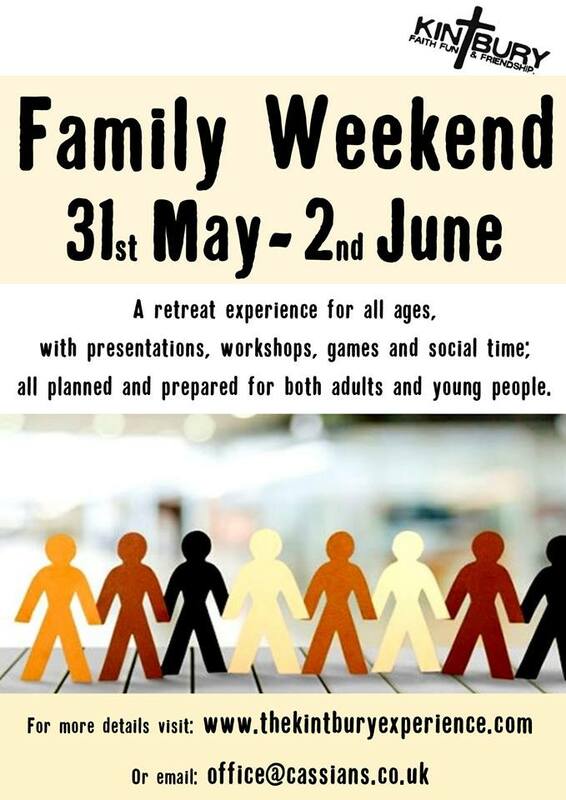 The Family Weekend retreat is open to families who have not been to St. Cassian’s. It is also an opportunity for those young people who, either with their school or parish, have been on a retreat at St. Cassian’s to return with their families, and so share with them 'The Kintbury Experience'! This weekend programme runs from Friday evening, concluding with lunch on the Sunday. Adults are invited to attend large group presentations and to take part in small group discussions, led by the St. Cassian’s team. The children and young people will, at the same time, work with members of the Volunteer Team in a number of sessions, such as art workshops, games and various other activities. Meals and prayer times will be together, as well as enjoying social time in the evenings. Children aged 4 and under: FREE. The cost of a retreat is reviewed annually. For more information and to book download the file below.